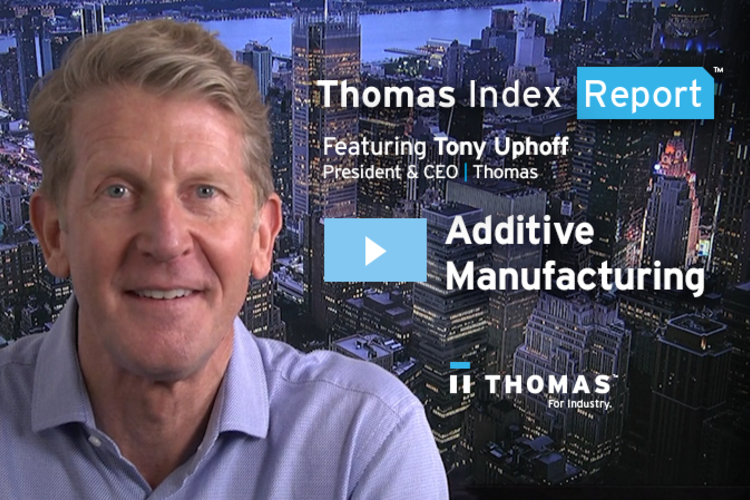 Data from the Thomas Index predicts that a spike in sourcing for Additive Manufacturing is imminent as adoption of the technology surges. 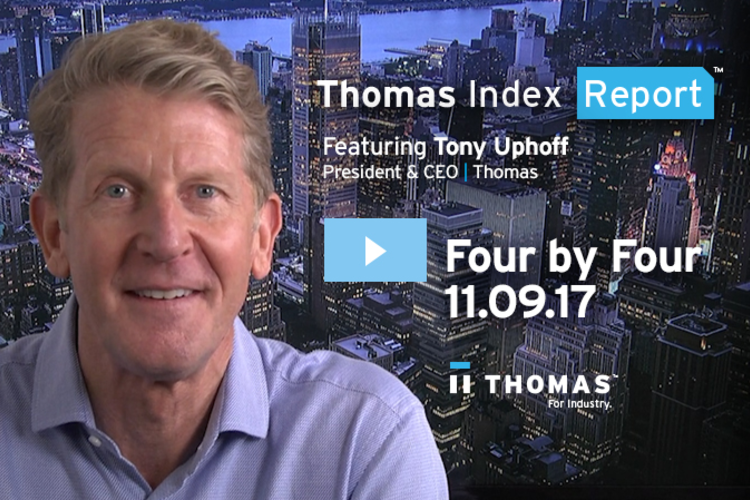 Plating and Environmental Consulting round out the four categories showing upward trends in the latest Thomas Index 4x4. There's been a surge in sourcing for metal stamping, and recent buyer activity is not limited to one or two industries. Four product and service categories that have shown upward sourcing trends over at least four weeks. Japan's Kobe Steel has admitted falsifying critical data on the strength and durability of its metals sold into the marketplace, impacting supply chains in automotive, aerospace, and electronics industries. The rise of automation in manufacturing facilities is driving an increase in the sourcing of bearings, with added demand from electric vehicles pointing to sustained growth. In this Special Edition of the Thomas Index report, Thomas CEO Tony Uphoff explains the data behind the Thomas Index, and how it can help you spot opportunities, inform your decision-making, and grow your business. In this week's Thomas Index report, VP of Marketing Shawn Fitzgerald discusses how the move towards Industry 4.0 and increased investment in IoT connected machines reflect in sourcing activity of robotics and automation systems integrators. In this week's Thomas Index report, VP of Marketing Shawn Fitzgerald reports on the latest sourcing trends observed in the aftermath of Hurricane Harvey. Sourcing activity for Custom Injection Molding has jumped in recent weeks. 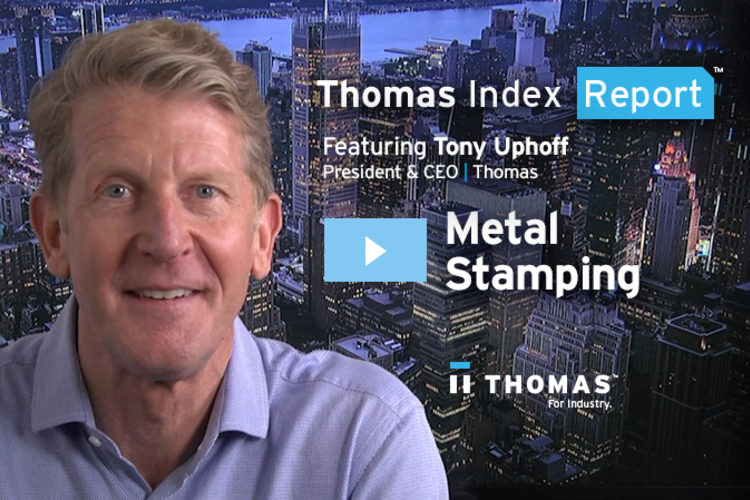 Thomas CEO Tony Uphoff explains the reasons behind this trend, the advantages that U.S. - based suppliers possess to capitalize on this rising demand, and the benefits to the U.S. economy.